Dr. Kim is associate professor at Eujli University College of Nursing in Daejeon, Korea. 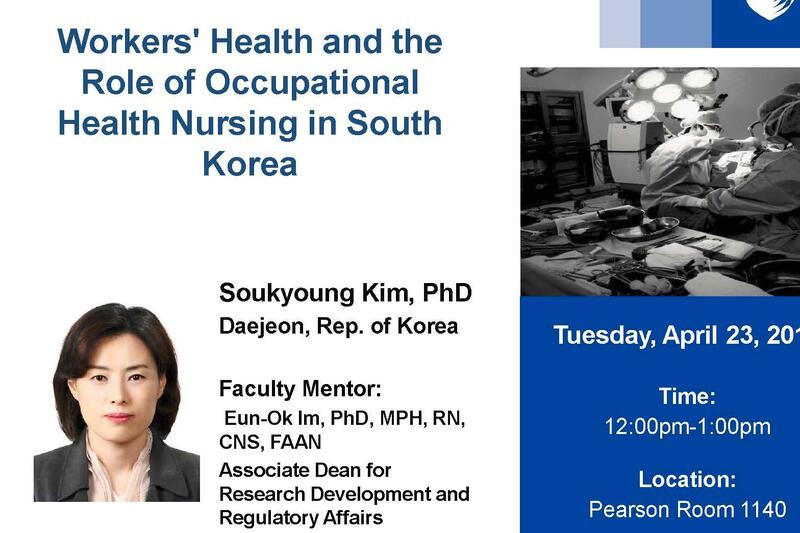 Come learn about 1) The occupational health problems of Korean workers; 2) Research on workers' health; and 3) the role of occupational health nurses in Korea. This event is FREE and open to the public. Seating is limited to 30. RSVP by 4/19/2019 to songlobalhealth@dm.duke.edu. Bring your lunch, dessert provided.